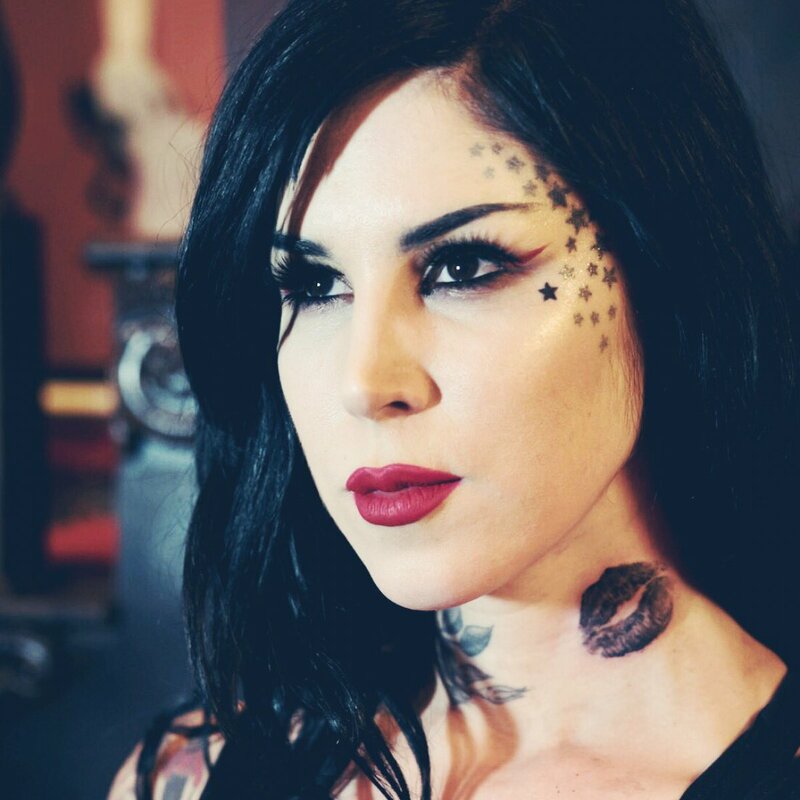 Kat Von D has married Prayers vocalist Leafar Seyer, the tattoo artist announced on Instagram. "Today, I married my soul's mate, my mind's twin, my best friend: @prayers. Juntos en vida y en muerte," the former "LA Ink" star, 35, said Wednesday alongside a photo of her hand touching Seyer's with their wedding bands on display. "Juntos en vida y en muerte," means "together in life and in death" when translated from Spanish. Seyer, 45, also shared the image on Instagram, stating, "Today I married the girl of my dreams." The rockstar was previously seen wearing his wedding band in a Valentine's Day video posted by Von D.
Von D, real name Katherine von Drachenberg, was previously married to tattoo artist Oliver Peck from 2003 to 2007. The former "LA Ink" star has famously dated DJ DeadMau 5, reality star Jesse James, Motley Crue bassist Nikki Sixx and "Jackass" star Steve-O. Birdman on Toni Braxton: "I love her to death"